"Those who oppose us will be broken with my bare hands!" 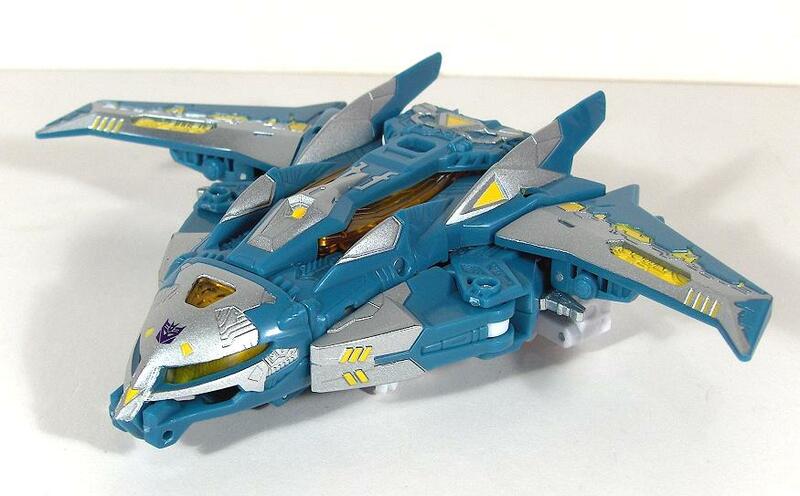 Created from Decepticon wreckage, Sweep Two is the hand-to-hand combat specialist of the Sweep legion. 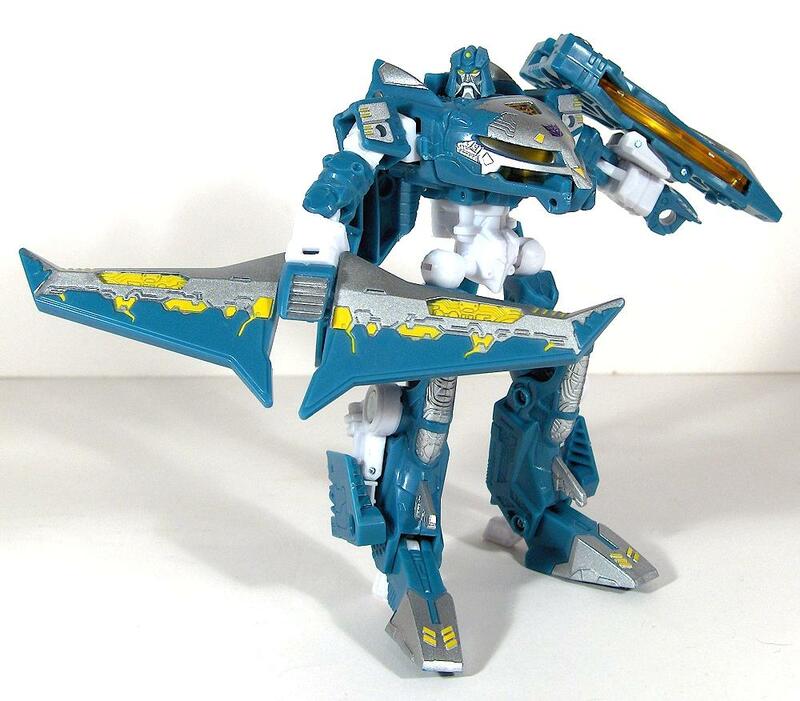 While his fellow Sweeps generally prefer using energy and ballistic weaponry, he prefers to use his knowledge of Cybertronian martial arts to enforce Scourge's will. He is extremely disciplined and believes that following orders is paramount to everything else. 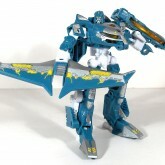 He represents the most brutal aspects of Scourge's personality and fulfills his role with no remorse. Scourge often relies on him to keep the other Sweeps in line, and his mere presence is often sufficient to reach this goal. 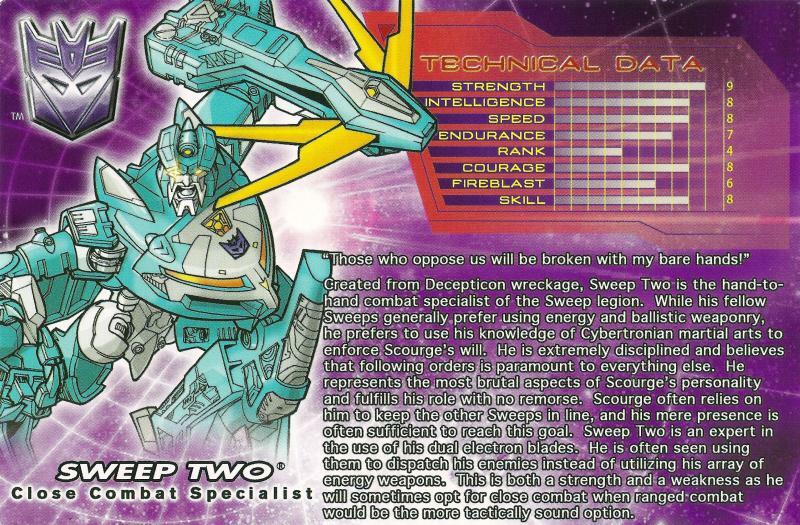 Sweep Two is an expert in the use of his dual electron blades. 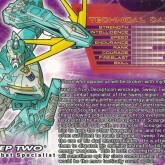 He is often seen using them to dispatch his enemies instead of utilizing his array of energy weapons. This is both a strength and a weakness as he will sometimes opt for close combat when ranged combat would be the more tactically sound option. Sold in a three pack with the other Sweeps. 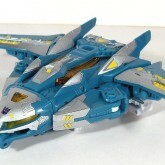 The sets were exclusively available at Botcon 2009 and limited to 1000 pieces.